Home Jessie J is an English singer. 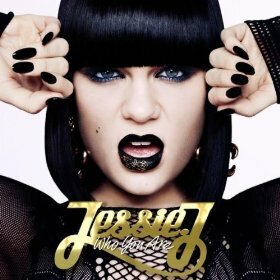 "Domino" went to No.1 on the UK charts on 21 January 2012. 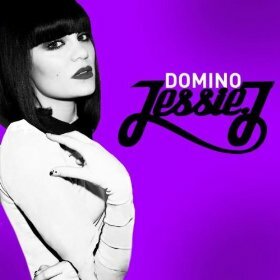 Cover Songs Domino Written by Jessica Cornish, Lukasz Gottwald, Claude Kelly, Max Martin, Henry Walter. 15 BC Jean 7. Who's Laughing Now Written by Jessica Cornish, The Invisible Man (Jason Pebworth/ George Astasio/ Jon Shave), Parker and James (Peter Ighile/ Kyle Abrahams), Talay Riley. Produced by The Invisible Man with Parker and James. 18 Britney Spears 8. Do It Like A Dude Written by Jessica Cornish, The Invisible Man (Jason Pebworth/ George Astasio/ Jon Shave), Parker and James (Peter Ighile, Kyle Abrahams). Produced by The Invisible Man with Parker and James. 33 Drain 16. Laserlight Feat. David Guetta Written by Jessica Cornish, The Invisible Men, David Guetta, Giorgio Tuinfort, Frederic Riesterer. Produced by David Guetta, Giorgio Tuinfort, Frederic Riesterer. 41 George Written by Jessica Cornish, Lukasz Gottwald, Claude Kelly, Max Martin, Henry Walter.